The roof structure for the "The depot" has been underway for some time as I’ve been busy with other things, but it is now nearing completion (sketches of the goods depot can be found here). My original idea was for a large single span roof, but after ploughing through photos and obtaining some sound advice from fellow RMwebbers (thanks!) 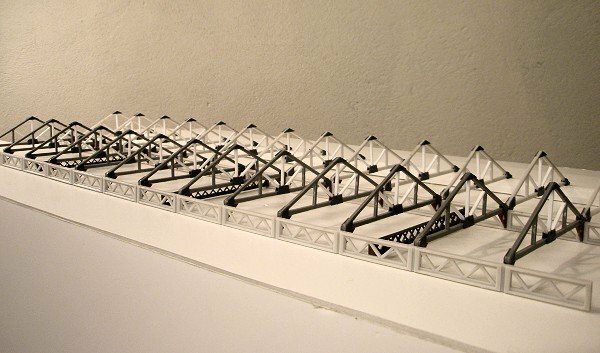 I decided on multiple lesser spans instead, of which two are visible on the layout. 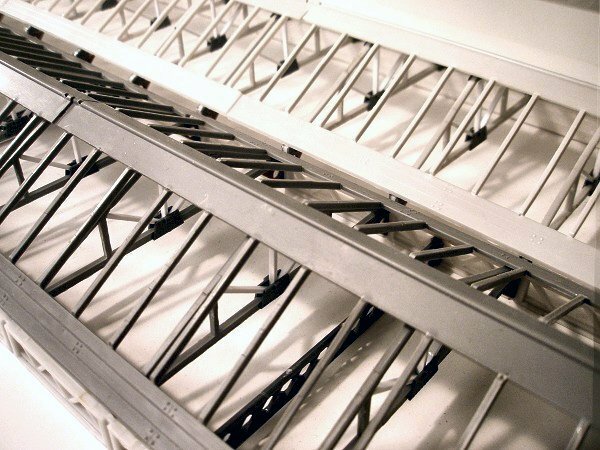 The structure is built from a variety of modified components sourced from old Airfix/Dapol, Rovex/Hornby, Ratio/Peco and Heljan kits, thereby encompassing quite a bit of British railway modeling history! I initially envisaged something scratchbuilt and rather more finescale, but I know from experience that I need to keep things simple to sustain momentum, so in the end I opted for some extensive kit-bashing. A selection of the components used. 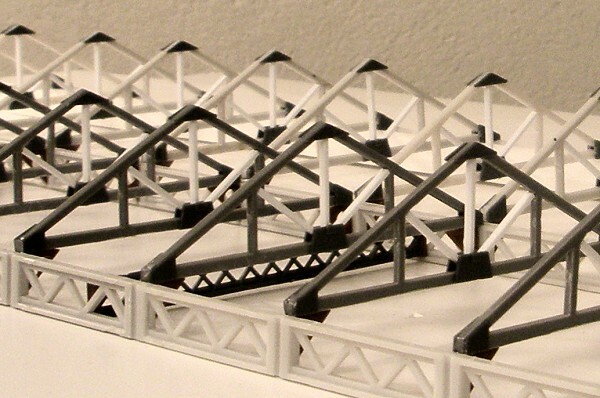 Clockwise from top left are parts from the Airfix canopy glazing (I bought in a number of these kits), support columns from an old Rovex footbridge kit (still to be added), some ornate ironwork from a Heljan station kit (also to be added) and leftover bits from the Ratio canopy conversion that I did for “The Bay”. 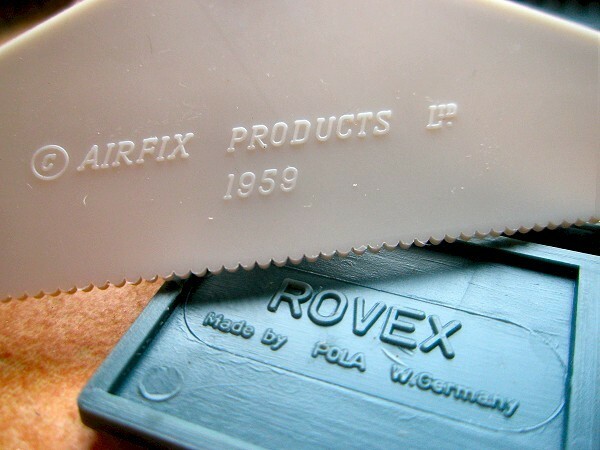 The Airfix canopy kit appears to have been designed in 1959. Is it perhaps among the oldest model railway products still on the market, along with the other ex-Airfix kits? 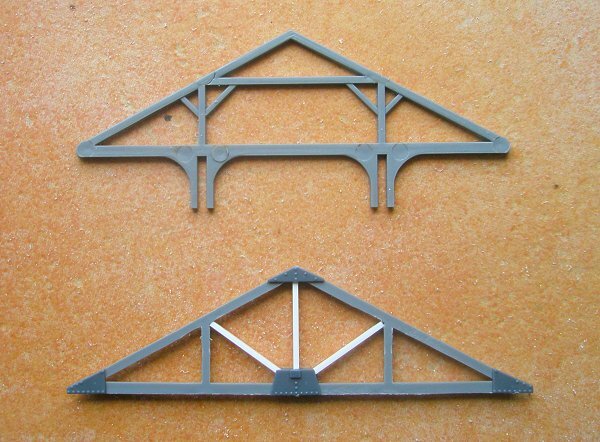 The original pattern of the Airfix roof trusses (top) seemed inappropriate in this context, so these were changed to indicate a Howe pattern instead (bottom). 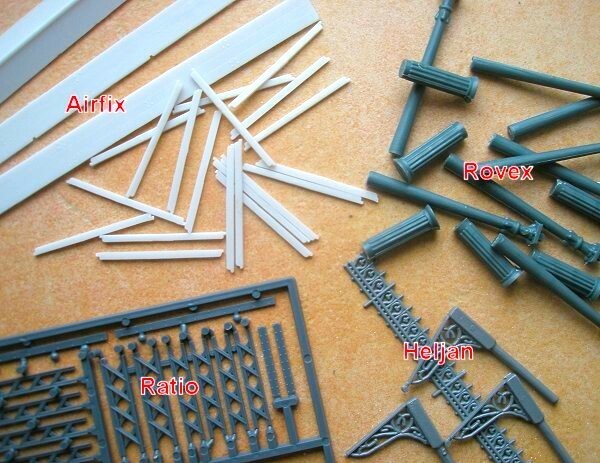 Various leftover parts from Ratio kits were used to add detail and hide joins. The rooflights still need a bit of work, but the basics are in place. They will hopefully let in lots of light, which is important in a small box-like layout such as this. I suppose it's all a bit chunky in places, but I’m hoping to improve this with some strategic weathering and detailing later on.